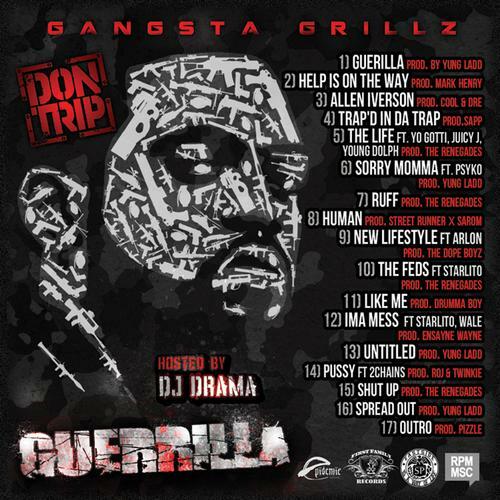 Bump Guerilla (Hosted by DJ Drama), the latest mixtape from Don Trip, which dropped on Monday, February 27th, 2012. 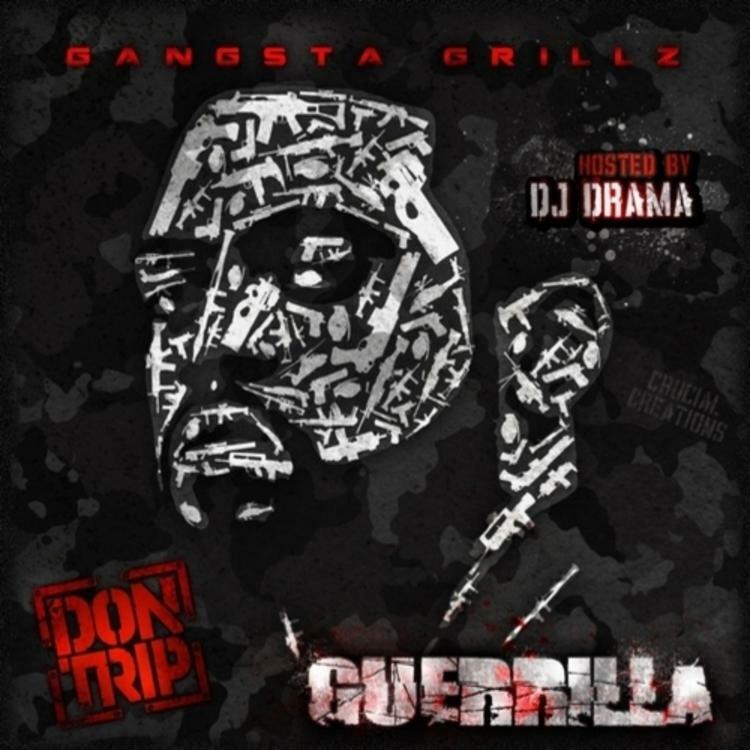 Don Trip's horizons are broadening with each new release, and Guerilla (Hosted by DJ Drama) is no exception. 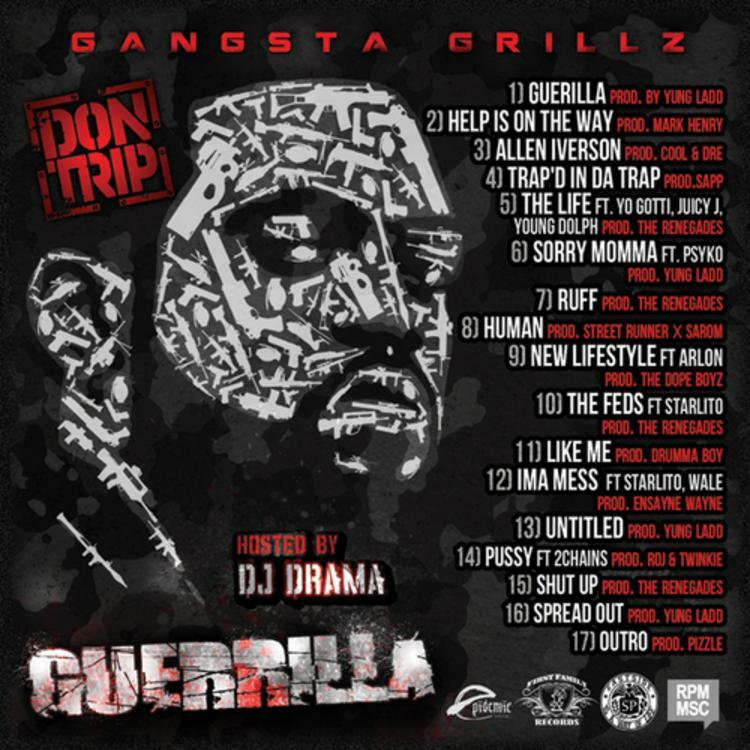 It's a worthy addition to a catalogue that has seen much growth since Don Trip stepped foot in the rap game. We're looking forward to hearing more. These artists are featured on the mixtape: Yo Gotti, Juicy J, Young Dolph, Psyko, Street Runner x Sarom, Arlon, Starlito, Wale, 2 Chainz. These producers soundtracked the mixtape: Yung Ladd, Mark Henry, Cool n Dre, Sapp, The Renegades, The Dope Boyz, Drumma Boy, Ensayne Wayne, Roj n Twinkle, Pizzle. Visit our mixtape section to stream and/or download Help Is On The Way, a project released by Don Trip on Wednesday, October 31st, 2012. It features songs such as Guerilla (Prod by Yung Ladd), Help Is On The Way (Prod by Mark Henry), Allen Iverson (Prod by Cool n Dre). Hit up Don Trip's profile page for the latest info, news, songs, and mixtapes. Remember to follow Don Trip on Facebook and Twitter.